Dr Leonie Kirszenblat is a neuroscientist investigating the relationship between sleep and attention. She uses the fruit fly, Drosophila melanogaster, as a genetic model to understand fundamental processes that occur in the brain during sleep. 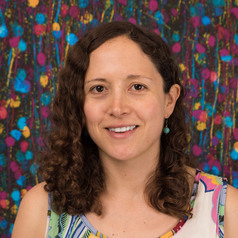 Her research uses combination of techniques in genetics, microscopy, behaviour and brain imaging to understand how sleep alters the brain and its effects on attention. She is also interested in the evolution of sleep functions and how this relates to brain complexity in different animals. Leonie currently holds a UQ Development fellowship to investigate "How sleep affects attention and brain plasticity".